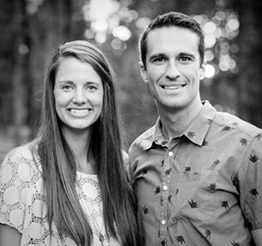 In short, we’re Trent & Stacy, a husband & wife photography team located in Colorado. We’d rather backpack and eat over a fire than sit by the pool and sip on sugar drinks. We love exploring, our son, and adventures. Do you just shoot outdoor weddings? Absolutely not. We’re all for exploring new locations and have no problem photographing weddings in a church, event center or mansion. While we love Rocky Mountain Weddings, we can do our job in any location or building. We live in Silverthorne, CO, because the mountains are our home. While we enjoy the city and its convenience, our heart is in the hills, where we can mountain bike, climb, fish and play in our backyard. What kind of gear to do you use? We’re Canon shooters and have been for some time now. We have too many cameras and lenses to list here. While having backup gear is important, its the photographer that makes the picture and not the camera. While we’ve been known to edit and deliver images in under two weeks, our general turn around is just shy of a month. During this time, we sort your wedding, correct the images for color and contrast, fine tune the favorites and remove anything that doesn’t add to the picture. We then deliver the images on a USB and upload them to a private online gallery where friends and family can download and print from. Most definitely. After our own wedding, we realized even more how important family photos are. Be it formal or relaxed, we take the time to professionally light and organize group photos. Can we provide you with a shot list or inspiration photos? We work with all of our brides to build a list of family formals that need photographed, however we prefer to capture the day as it actually happens instead of trying to recreate moments. Wedding inspiration sites can be great for day-of ideas, but they can also overshadow the real story. Having photographed hundreds of weddings, we can almost always cover a usual-shot list that one might see in bridal magazines. Do I receive rights to the photos you take? We provide our couples with the right to print, share and distribute their photographs as they wish. In today’s day in age, we’re all about you being able to share and view your images on any device or medium. With that being said, print is not dead. One of the best things you can do with your wedding pictures, is view them in a high quality album or a large wall print. Can you fly to my wedding? Most definitely. We photograph a handful of destination weddings every year. Be it Mexico, Costa Rica, Canada, or somewhere in the states, we’d love to build a proposal for your wedding. We head into every wedding with a primary goal: tell the story in a beautiful artistic way. Some call if wedding photojournalism or editorial photography. We’re not concerned on labeling it, but giving you real images that mean more to you than anything else. We shoot beautifully lit posed portraits as well, but our primary focus on the day-of is to come away with a set of images that you could share with anyone and make them feel like they were there. We shoot details, group photos and posed shots, but our focus is a photo with has meaning and purpose. We want to book. How do we reserve you? First, fill out this form. Once we have that, we’ll confirm that we have your date available and then ask that you fullfill an online contract and deposit. From there, we’ll work on finding a time to either meetup or Facetime so we can get better acquainted. Do you do photo booths? We most definitely do. Our photo booth is always a hit at weddings and a great way to get expressive photos of everyone there.